If you’re heading out to the slopes this season to ski or snowboard, you can reduce your chances of injury and maximise your time on snow with these top tips. 1) Get strong: If you’re looking to head out to ski or board this January or February, it’s well worth getting into the gym and working the legs 2-3 times a week between now and then. Stronger legs recover faster, go for longer, tolerate high landing forces better, and help you to make the most of your time out there. Squats, hip thrusts, lunges, hamstring curls, and deadlifts are all good options. 2) Get stable: Make sure you are comfortable on one leg. Learn to stabilise your torso, hips, and knees by performing exercises on one leg: split squats, lunges, hopping and jumping. Even around the house practice single leg balance whilst making cups of tea, brushing your teeth, or making dinner. Balance and control through the lower limbs helps to encourage good mechanics during physical activity and reduce the load going through your joints and ligaments. 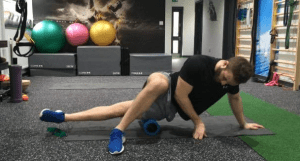 3) Self manage: Pick up one of our Active foam Rollers, Active Bands and a hockey ball and learn to mobilise your joints. Having supple hips ensures good lower back health and encourages balanced strength between left and right and front and back. Imbalances in mobility can lead to poor mechanics, strength imbalances, and ultimately opens the door to injury. Furthermore, proactive self-management strategies can be applied between days on snow to reduce muscle soreness and set you up for the next day on the slopes. Check out some of the techniques used in this blog to help develop mobility through the hips. 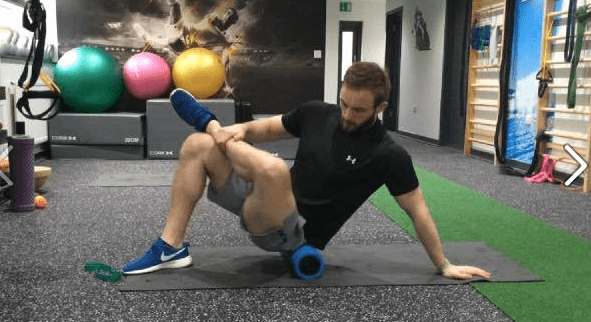 For further information on any of the exercises or techniques discussed in this post, please get in touch with us directly to see what we can do for you!